Now that the dust has settled from yesterday's Worldwide Developer Conference keynote, I can safely say iOS 5 will be a huge win for Apple. Playing around with some of the new features such as Notification Center and iCloud on my iPad 2 re-invigorates my excitement for developing for the iOS platform. In many ways iOS 5 has already exceeded expectations- out of my top five wish list last week, Apple knocked three of them out of the park. There were however, two glaring omissions. This is what they are and why they may have been left on the bench for now. The current system of multitasking certainly gets the job done. An app's state is frozen in memory and only released if: 1) a newer app needs more memory space, or 2) the user manually quits the app. Theoretically, a user shouldn't ever have to "prune" their apps running, but in practice it's often not the case. True multitasking apps such as navigation apps or streaming music players will maintain their memory footprints until you stop or quit them. I've observed a lot of users who have no idea they can even quit apps--they simply don't realize the same press-and-hold mechanic used to delete apps on the home screen is the same as quitting them in the multitasking dock. Not to mention the fact that having 30 apps to scroll through in the multi-tasking dock somewhat defeats the purpose of having quick access to it. I can imagine a beautiful harmony in integrating the easy "swipe-down" access and UI of Notification Center with multi-tasking features. At the very, very least, a "Quit All Apps" button would be nice. Maps is still the most commonly used navigation app on iOS. It will get you from point A to point B in a car, via public transportation, or by walking. Google has the most comprehensive public map database in the world. Apple was rumored to be working on their own Google-less maps alternative, which could explain the lack of updates. Maps on Android simply leaves iOS in the dust. Android users have already been enjoying voice navigation, turn-by-turn navigation, and (what I am most envious about) bike directions. 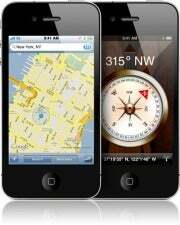 There were rumblings of Apple creating their own map database after they purchased a couple navigation companies last year, but we haven't seen anything solid since then. Even if they are planning to abandon Google Maps, an update to at least include Google Maps desktop browser features (bike directions!) would be nice. Share your thoughts on WWDC and Apple's iOS 5 announcements in the comments!